A new group of 61 students arrived at the SJTU campus this weekend ready to learn and explore during the summer semester. 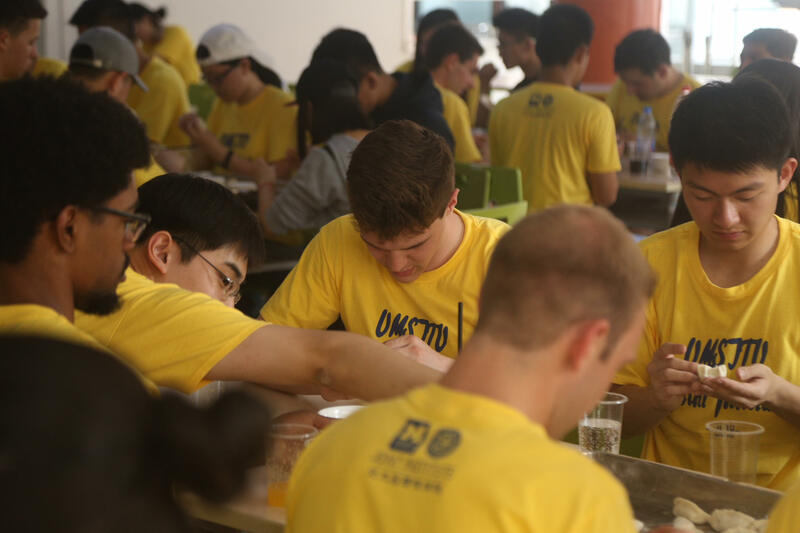 Over the weekend, 61 students flew in from all over the world and began to prepare themselves for an incredible summer semester at the UM-SJTU Joint Institute. On Sunday May 13th the new students gathered at the new JI building on the SJTU campus for their first official group activity, an orientation scavenger hunt! Students broke up into six groups and were given tasks to complete all over campus, giving them all an opportunity to familiarize themselves with a new environment as well as make new friends. After a long morning biking around campus, it was time for lunch, so the students met at a canteen to learn how to make their own dumplings! With a little bit of instruction they were professionals, and in no time at all they had prepared a feast for themselves. With the day coming to a close, the students were more excited than ever for the weeks to come.